In Nick Hornby’s best books – High Fidelity and Fever Pitch – he manages to be a popular writer, a comic writer, and a serious writer all at the same time. 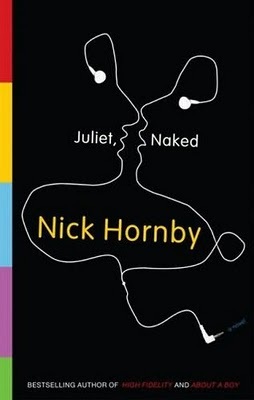 Hornby equals the achievement of these books in his 2009 novel, Juliet, Naked. Juliet, Naked tells the story of Annie and Duncan, an English couple slipping into middle age, and how they are affected when the reclusive ex-rock star, Tucker Crowe, enters their lives. Annie and Duncan are exemplary Hornby-esque characters. They possess intelligence and some taste, but they are adrift in their work, and deeply uncertain of their feelings for each other. Duncan is also obsessed with Tucker Crowe and his most famous album, “Juliet”. Annie tolerates this obsession until they disagree about a demo recording of the album’s songs – known as “Juliet, Naked” – that Crowe releases after twenty years of silence. The disagreement causes their relationship to fray. Annie attracts the attention of Tucker Crowe himself through a review of “Juliet, Naked” she posts online. And the story is off and running. Hornby is a virtuoso of romantic ambivalence, and his talent is fully realized in Annie and Duncan. They are a portrait of all the dissatisfactions that develop when a relationship is based more on familiarity and convenience than on affection, and the scenes between them are funny, painful, and persuasive. Annie was looking at him as if she might kill him with her cutlery. Annie waited and he began to babble. Silence, but of a deeper and altogether more menacing quality. Tucker Crowe is not as convincing in his role of former rock star as Annie and Duncan are in theirs. Hornby tells us that Crowe was a talented musician who’s famous for recording a poor-man’s version of “Blood on the Tracks” and for possessing a series of beautiful, angry ex-wives. But Crowe doesn’t seem like a man who was ever passionate enough to have recorded a minor masterpiece or destroyed multiple relationships. Instead, he comes across as the kind of funny, feckless, and self-centered Hornby character that excels at doing nothing with his life. There are other problems. In the middle of the book, you can hear the machine of Hornby’s plot going clang, clang, clang and he falls back on his considerable comic gifts to keep the story moving. This part of the novel is still funny, but the humor comes from Hornby’s efforts, rather than rising from the characters and situations, and so loses its depth of feeling. The good news is that Hornby produces a satisfying ending to Juliet, Naked once he manages to maneuver Duncan, Annie, and Tucker into a position where they all can meet. Hornby also does a pretty job of resolving many – but not all – of the discrepancies between Tucker’s rock-star past and his current personality. The final pages of Juliet, Naked do leave questions about the story unanswered, but it suits the characters perfectly. To them, life is something of a muddle and never complete. It’s fitting that the ending of the novel they inhabit shares those qualities.